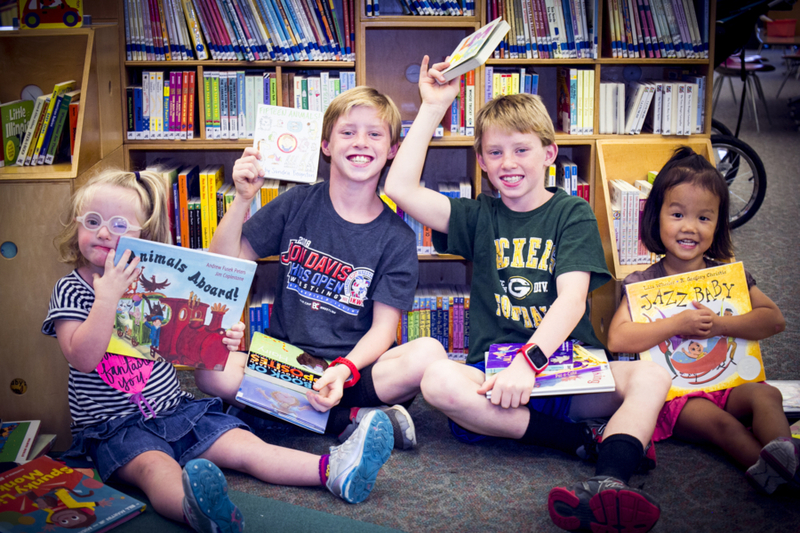 The Children's Summer Reading Program is a great way to keep kids reading over the summer break from school. Why should kids READ during the summer? Kids can read what they WANT! Kids can EXPLORE something new — a hobby, sport, craft, or facts they want to learn about. Summer Reading helps prevent the “Summer Slide” — the tendency for kids to forget what they’ve learned and decline in reading level over summer vacation. Children who participate in Summer Reading Programs and read a minimum of six books over the summer score higher in reading AND math when they return to school. The Children's Summer Reading Program will kick off Saturday, June 1, and run through the summer. Check back in May for more details on the 2019 program! We love our sponsors! Their contributions encourage kids to have fun with reading and build a lifelong love of learning. Thanks to our sponsors of the 2018 Children’s Summer Reading Program! Would you or your business like to help sponsor the 2019 Children's Summer Reading Program? Contact us at childrens@decaturlibrary.org for details.